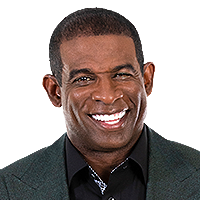 Pro Football Hall of Famer Deion Sanders provides his thoughts on the latest happening around the NFL on 21st and Prime. The 30-minute show provides interviews with some of the biggest stars in the game and Sanders' unique insight and analysis. Which QB matchup would you rather see in the Super Bowl: Young stars or grizzled vets? Which sports dynasty is better: '90s Bulls or Belichick's Patriots?